If most of us woke up with the inability to move on one side of our face, we’d be pretty scared. However, one television reporter by the name of John Sudworth is making it his mission to educate others about Bell’s palsy, a form of facial paralysis that has temporarily parlayed the left side of his face, and who doesn’t know when, if ever, his facial movement will return. John Sudworth, a television reporter, recently came down with a case of Bell’s palsy which paralyzed the left side of his face. John can’t close his left eye or raise his left eyebrow, let alone smile symmetrically. Instead of being scared of his condition, John has begun researching his ailment to discover what exactly he is dealing with. Because he appears on television as a reporter, John is very interested in enlightening people watching him as to what exactly is going on with his face, something that Dr. Azizzadeh also aims to do. 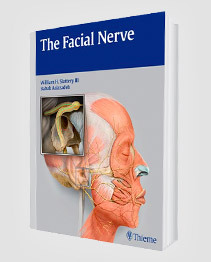 Over time, it is likely that John’s facial nerve will recovery, giving him back full control of his face. Simply put, Bell’s palsy is a form of facial paralysis that can affect anyone at any time during their lives. Bell’s palsy can come on very suddenly and without warning, leaving its sufferers to wonder what is happening to their face. Though it can be very scary to accept, almost all cases of Bell’s palsy clear up on their own and in less than six months. Unlike facial paralysis, Bell’s palsy cannot be pinpointed as to what actually causes the problem, though some doctors have hypothesized that it occurs as an activation of the herpes virus, which is very common in people. 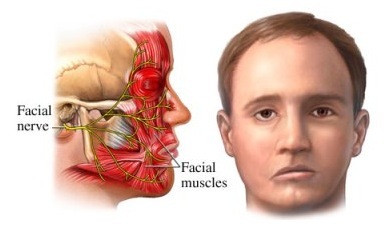 Though an exact reason cannot be determined, Bell’s palsy does involve the swelling or inflammation of the facial nerve, which in turn blocks muscle messages to the brain and results in paralysis. Bell’s palsy can be very difficult for people to accept, but it’s important to stay positive and patient throughout the process, as almost all 90% of cases will experience an almost complete recovery. 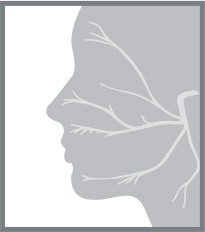 There are also a variety of treatments for Bell’s palsy. One of the most popular treatments for people experiencing Bell’s palsy is to undergo Botox injections, in which an experienced facial paralysis surgeon will inject Botox in the areas of the face showing signs of paralysis to create a more symmetrical look. Normally, Botox cosmetic is used to reduce the appearance of fine lines and wrinkles due to aging, however in some cases involving facial paralysis and Bell’s palsy, the Botox actually relieves spastic muscles. 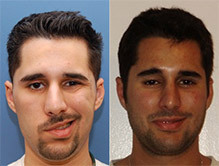 Bell’s palsy is a very treatable form of facial paralysis when it does not clear up on its own. If you would like to speak with Dr. Azizzadeh today about how he can help you regain facial movement and create a more symmetrical look, please contact the CENTER for Advanced Facial Plastic Surgery to schedule your initial consultation by calling (310) 657-2203. 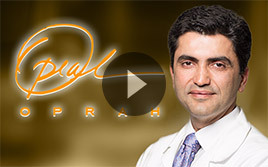 Dr. Azizzadeh has a unique background and training in the facial nerve relating to facial paralysis and strives to give every patient their smile back. For additional information, please contact us today.